Oxford Hills, Edward Little and Lewiston are also dangerous while Messalonskee hopes to crack top group. It’s hard not to call the five-time defending state champion Bangor High School the favorite in Class A North this season. The Rams are once again among the top teams in the state, but in the Kennebec Valley Athletic Conference Class A division, Bangor will be pushed by a strong Oxford Hills team. The Vikings boast arguably the top pitcher in the state in Colton Carson, who has committed to continuing his baseball career at the University of Maine next year. Bangor ended Oxford Hills’s season in each of the last two years. Edward Little and Lewiston also could be in the mix for the top spots in the conference. In central Maine, Messalonskee could have the pitching to contend, but a strong start is important to the Eagles, who have just two seniors. Sophomores Tyesn Paz and Evan DeMott, as well as junior Andrew Everett, look to be at the top of Messalonskee’s rotation. The Eagles pitchers will throw to a veteran catcher, senior Carter Lambert. Junior Dylan Cunningham returns for his third season at shortstop, and junior center fielder Jacob Perry could provide offense. While Messalonskee’s pitching is deep, it could be a question mark at Skowhegan. Last season’s top starter, Colby Estes, graduated. Colby Miller moves to the top of the rotation, with Ryan Savage, Marcus Christopher and Kyle Kruse likely to see innings. Christopher, a senior, hasn’t pitched since his freshman year, coach Mike LeBlanc said. Skowhegan is full of returning players across the rest of the field. The entire starting infield of Christopher (first base), Matthew Berry (second base), Carter Hunt (shortstop) and Kruse (third base) is back, along with catcher Aidan Louder. When not on the mound, Miller returns to the outfield. “We need more consistent hitting,” LeBlanc said. At Mt. Blue, Ben Davis makes the move from junior varsity to varsity coach. 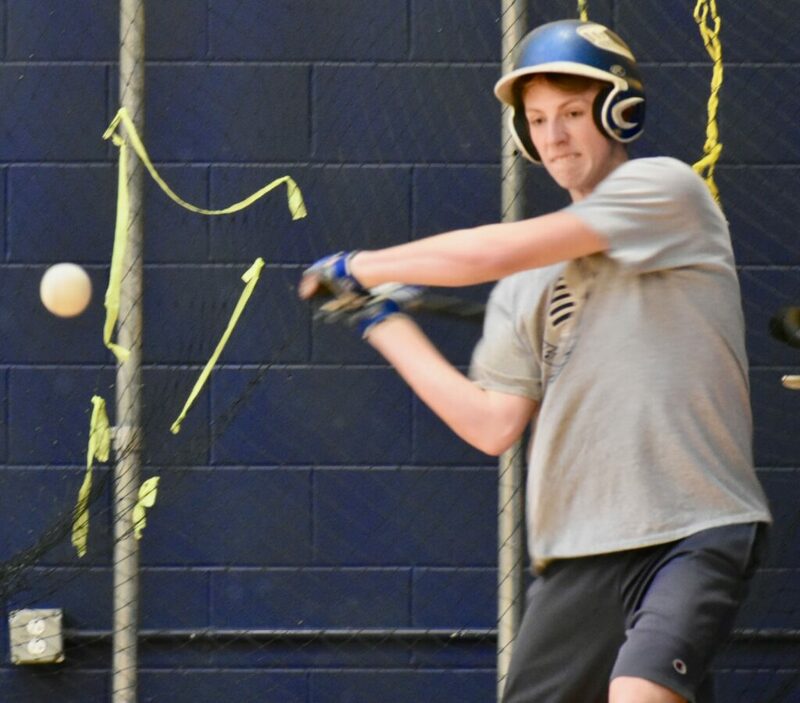 The Cougars went 1-15 last season, and Davis is looking to boost the team’s mental approach and develop the pitching needed to be successful in the KVAC. Mt. Blue will look to three seniors for leadership, first baseman Colin Hutchins, center fielder Wyatt Viles and catcher Noah Bell. Times have been tough for Cony, which slumped to its second consecutive 4-12 season last year, but the Rams were also rebuilding, with freshman and sophomores in key roles while trying to get acquainted with the varsity pace. Perhaps as soon as this season. Seniors Matt Wozniak and Mike Boivan lead the veteran presence at catcher and shortstop, respectively, but the younger players from last year are a year older and a year more prepared to handle starring roles. Sophomore Kyle Douin led the team in wins last year, while Riley Geyer, Bobby Stolt and Elijah Bezanson are also sophomores that could be poised for breakout years. It’s also a group that has thrived in the Augusta Babe Ruth program, and Plourde said he wants his natural ballplayers to feel less constrained and play more freely on the field. Kyle Douin, Cony: Right-hander led the Rams in wins as a freshman, and will look for more success as a sophomore. Matt Wozniak, Cony: One of the school’s best athletes, senior catcher will hope to help turn Rams into contenders. Kyle Kruse, Skowhegan: A third baseman and pitcher, Kruse is the top returning hitter in Skowhegan’s lineup. Dylan Cunningham, Messalonskee: A three-year starter, this junior will be back at shortstop for the Eagles.